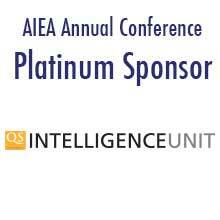 AIEA Issue Briefs inform AIEA members and the larger international education community about key issues in the internationalization of higher education and potential responses. Author guidelines for these concise pieces of 1,000 to 1,500 words, can be found here. International travel safety, often the realm of the SIO’s responsibilities, is beginning to evolve beyond ‘just’ study abroad. This issue brief discusses the growing challenges that SIOs and those responsible for international travel safety and risk management must address as international program portfolios expand to include a wide range of non-credit activities. At a time when political rhetoric begins to favor isolationism and American exceptionalism, that challenge for senior international officers to maintain momentum in favor of campus internationalization is no doubt intensifying. In this Issue Brief, the authors encourage SIOs to consider strategies for education abroad beyond enrollment numbers. They offer seven habits for sustainable education abroad enrollment growth for SIOs to consider and also provide thoughtful corresponding questions that may prove useful in maintaining and boosting the proportion of students that participate in education abroad programming. As higher education systems and institutions seek to internationalize, there can be no denying the centrality of faculty to these efforts. How faculty are rewarded for their contributions to internationalization is a crucial question for institutions undertaking this process. Although U.S. higher education is increasingly relying on “contingent” faculty, tenure and promotion are still the primary incentive and reward structure for faculty performance at many colleges and universities. New SIOs may be surprised to realize that while they are charged with internationalizing their institutions, they have little authority over those needed to carry out the work, including the faculty who do the day-to-day work of educating students. Thus, SIO's must learn to manage from the middle, persuading and enticing stakeholders to get on board with internationalization. This Issue Brief offers eight tips for new SIOs on managing from the middle, with a focus on working with faculty members. The proliferation of provider organizations working in the broadly-defined "industry" of U.S. education abroad, has made it increasingly challenging for even the most experienced education abroad professional to differentiate organizations and to determine with whom to partner. Long-standing affiliations and professional loyalties are being tested by the arrival of a new cadre of innovative and entrepreneurial organizations and without doubt competition for students and attention is intensifying. This issue brief provides ten quick tips for working with study abroad providers. This brief provides an overview and rationales for the collaboration of Equity and Diversity and Internationalization offices in higher education institutions. Building on the momentum of AIEA’s October 5, 2014 webinar focusing on the same topic, this brief seeks to explore and expand upon themes discussed by Dr. Harvey Charles and Dr. Benjamin Reese. “Five (more) reasons” is intended to keep the conversation alive in our field and to offer suggestions to SIOs for collaborations with the equity and diversity offices on their campuses. State engagement in higher education internationalization efforts: What should international officers know? In many parts of the world, the internationalization of higher education is increasingly influenced by government policies and initiatives. While there has been some effort to track national government engagement in this area, there has been little attention paid to what is occurring at the level of sub-national governments. This brief addresses that gap by identifying four broad areas in which state governments in the U.S. are influencing international higher education. Although the focus is on the U.S., SIOs outside the U.S. should find questions applicable to their own contexts.